Why Use a Steel Box? There is nothing as important as your workers’ safety. Not only do federal regulations require it, but creating a safe working environment helps promote peace of mind and confidence for your employees while performing their jobs. The steel trench boxes available at Trench Shore Rentals are an excellent way to protect employees who work inside trenches and keep your job site as safe as possible. A steel trench box is an engineered structure used to support trench walls. Digging is an essential part of almost any construction work, such as building a foundation, laying pipe or installing valves. In shoring applications, excavating usually means digging in poor soil conditions. Steel trench boxes can be permanent, although there are many portable options that offer flexibility on a job site. Portable boxes can be pulled along a trench as the work progresses. You can work with a provider to purchase a pre-manufactured box or have one custom-built for the specifics of your job. Steel trench boxes should be an essential part of any shoring or construction site, as they are imperative to ensure your workers’ safety. They also offer a number of other cost- and time-saving benefits, as well. 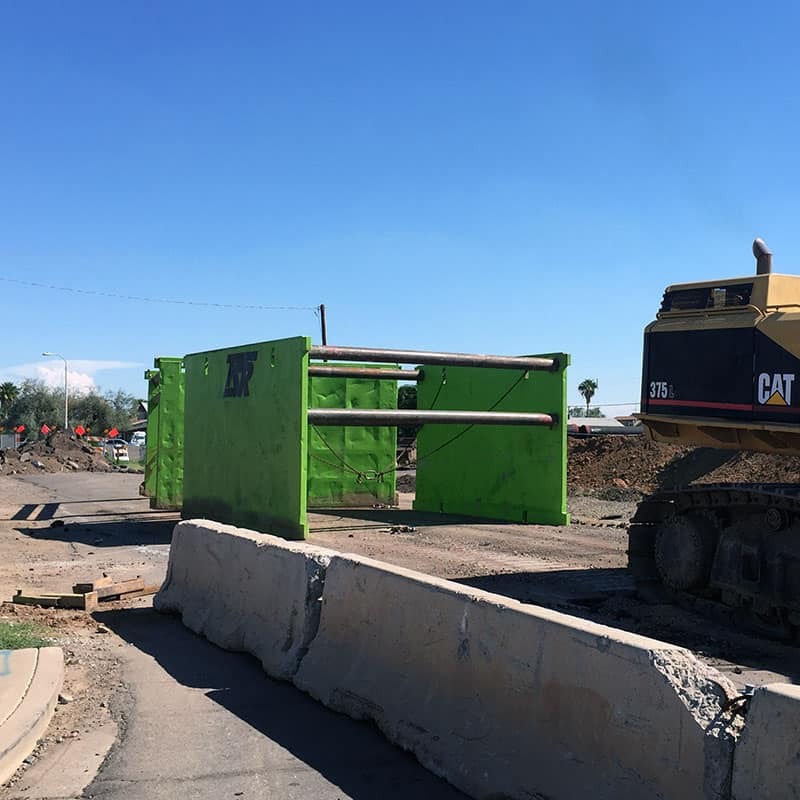 Call Trench Shore Rentals at (602) 253-3311 to learn more about our high quality steel trench boxes available for rent or sale. Heavy duty and quality. No nonsense simple setup at a great price.